We have some 15 hacks for you that will help you plan your trip parsimoniously. These tricks are not exhaustive, neither are they exclusive. Depending on the situation, you may have to use multiple tricks together. There is really no rocket-science behind this. If you make reservations during peak-seasons, you might really be charged a bomb. Off-season charges are always less. Say you want to fly Mumbai-Amritsar, but never buy a flight ticket because the air fares are always high. You can actually set up an alert on most search engines, wherein you’ll receive an email everytime the price increases or decreases. Some search engines may show you lower fares initially, but later as you proceed to payment, convenience fees or taxes may be levied. Therefore, your comparison must include the total cost, otherwise you’ll feel cheated. Booking a round trip ticket will be cheaper. Whether you're going on a vacation or a business trip, booking a round trip ticket from the same airline means you'll end up saving a few bucks. Many online travel companies offer discounts in various slabs to entice customers to book with them. You may get the cheapest deal on your flight ticket, if you are smart enough to use a promo code. Never miss an update, always check your emails to keep a tab on all the deals and discounts that come your way. From airline sales offers to latest travel updates, you will receive almost everything in your inbox. Airlines and online travel portals always talk about these deals and discounts on their social channels. If you follow them, you will always receive an update on your feed. This is not it, new routes, additional frequencies and free giveaways always find a platform here. Travel often by a single airline? Then this is definitely for you - special fares, special seats and special redemption points. Most of us book flights depending on who gives us the cheapest fare. However, if you have a frequent flyer program, you will actually end up saving more. You can always redeem the accumulated points for your next trip. You’ll generally find flight tickets priced higher on weekends and public holidays. Since the demand on other days is lower, these fares are naturally lower. Take an instance where Mumbai-Dubai flight tickets are priced at Rs. 2X, but Mumbai-Sharjah fares cost only Rs. X. In such a situation, you could opt alighting at Sharjah rather than Dubai, because it saves you huge bucks. Some airlines charge extra for food, check in baggage and other services. If you are the one needing them, then you should definitely look for such inclusion in the ticket. At the time of booking you may not feel that you’d cancel or reschedule a trip, but you never know. It is always wiser to check these options while booking a flight, especially if the tickets are on sale. 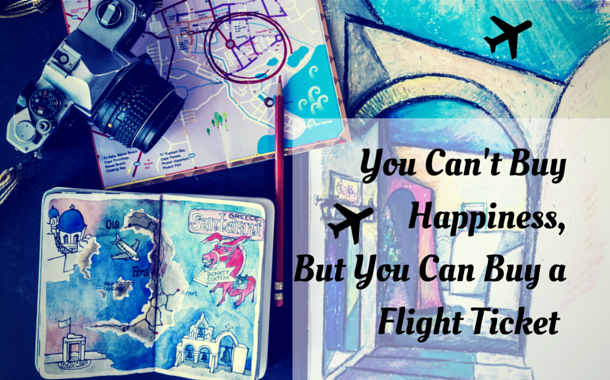 Sometimes late night flights and early morning flights can be cheaper than other flights. So, if you’re ready to compromise on your sleep, then you might end up with a lighter pocket. It may sound dim, but low cost carriers in India are doing big. They may charge you for that meal or extra baggage, but you’ll receive great service. Airlines like IndiGo, Air India Express, AirAsia India are great to travel with. Go check out our offers and deals.